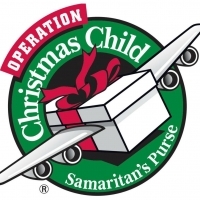 Freedom Church will have a Packing Party to prepare boxes for Operation Christmas Child on Sunday, Nov. 11th, at 12:45 pm, in the Grace Room. Our church family has been generous in purchasing items for these children, and we thank everyone who has participated! The packing day will be spent putting the items in boxes and praying for the children who will receive them. We want to thank Lyn Davison and Augustine Thompson for heading up this project for Freedom this year. We hope you can join us on the 11th!